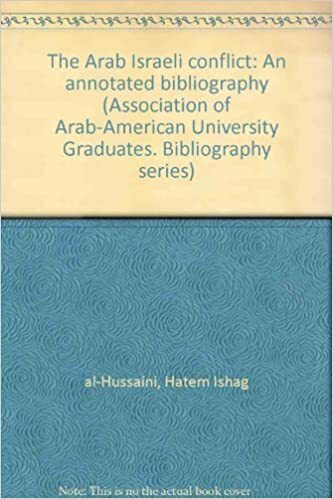 A selective bibliography from AUB libraries and elsewhere. Abu-Lughod, Lila and Ahmad Saʻdi. 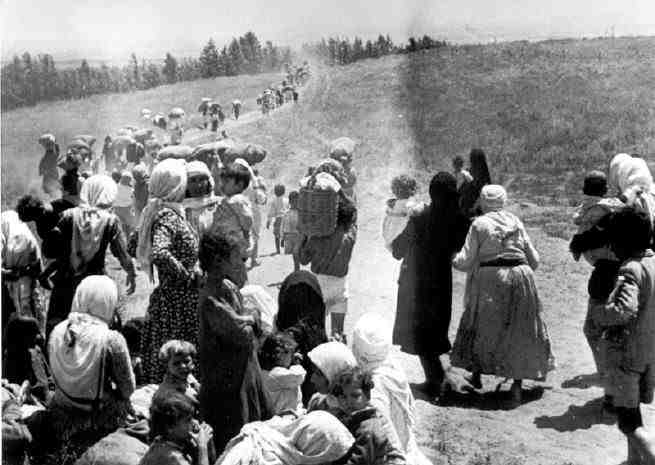 Nakba: Palestine, 1948, and the Claims of Memory. New York: Columbia University Press, 2007. Abu Sitta, Salman. Palestinian Right to Return: Sacred, Legal and Possible. London: Palestinian Return Centre, 1999. Al-Hardan, Anadeed. Remembering the Catastrophe: Uprooted Histories and the Grandchildren of Nakba. Dublin: Trinity College, 2011. Avineri, Shlomo. “The Roots of Zionism.” The Wilson Quarterly 7, no. 1 (1983): 46-61. Baker, Robert. “ History and Periodization.” Clio 26, no.2 (1997): 135-141. Ben-Ze’ev, Efrat. Remembering Palestine in 1948: Beyond National Narratives. New York: Cambridge University Press, 2011. Besserman, Lawrence. The Challenges of Periodization: Old Paradigms and New Perspectives. New York: Routledge, 2013. “British Mandate for Palestine.” The American Journal of International Law 17, no.3 (1923): 164-171. Bunton, Martin. “Inventing the Status Quo: Ottoman Land-Law during the Palestine Mandate, 1917-1936.” The International History Review 21, no.1 (1999): 28-56. Chomsky, Noam. The Fateful Triangle: The United States, Israel and the Palestinians. London: Pluto Press, 1999. Davis, Rochelle. Palestinian Village Histories: Geographies of the Displaced. Indiana: Stanford University Press, 2010. Dessouki, Ali. “Arab Intellectuals and Al-Nakba: The search for fundamentalism.” Middle Eastern Studies 9, no. 2 (1973): 187-195. Falk, Richard. “Rethinking the Palestinian Future.” Journal of Palestine Studies 42, no. 4 (2013): 73-86. Fidley, Paul. They Dare to Speak Out: People and Institutions Confront Israel’s Lobby. Illinois: Chicago Review Press, 2003. Finkelstein, Norman. Beyond Chutzpah: On the Misuse of Anti-Semitism and the Abuse of History. California: University of California Press, 2008. Foucault, Michel. “Nietzsche, Genealogy, History.” In Language, Counter-Memory, Practice: Selected Essays and Interviews, edited by D.F. Bouchard, 139-164. Ithaca: Cornell University Press, 1977. Freas, Erik Eliav. “ Ottoman Reform, Islam, and Palestine’s Peasantry.” Arab Studies Journal 18, no.1 (2010): 197-232. Gideon, Bar. “Reconstructing the Past: The Creation of Jewish Sacred Space in the State of Israel, 1948-1967.” Israel Studies 13, no. 3 (2008): 1-21. Graetz, Heinrich. From the Chmielnicki Persecution of the Jews in Poland (1648 C. E.) to the Period of Emancipation in Central Europe (c. 1870 C. E.), vol. 5 of History of the Jews. Philadelphia: The Jewish Publication Society of America, 1895. Graetz, Heinrich. Containing a Memoir of the Author by Dr. Philip Bloch: A Chronological Table of Jewish History as an Index to the Whole Work, vol. 6 of History of the Jews. Philadelphia: The Jewish Publication Society of America, 1898. Green, Stephen. Taking Sides: America’s Secret Relations with Militant Israel. New York: William Morrow & Co., 1984. Green, William. “Periodizing World History.” History and Theory 34, no. 2 (1995): 99-111. Hadawi, Sami. 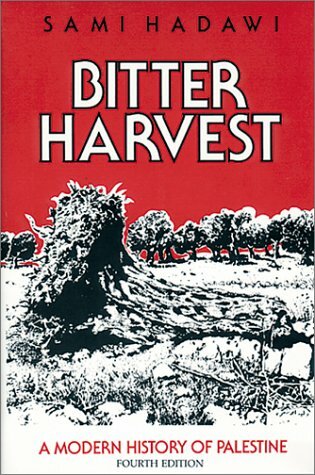 Bitter Harvest: A Modern History of Palestine. Northampton: Interlink Pub Group Inc., 1998. Herlitz, Georg. “Three Jewish Historians: Isaak Markus Jost – Heinrich Graetz – Eugen Taeubler: A Comparative Study.” Leo Baeck Institute Year Book 9, no. 1 (1964): 69-90. Jankowski, James. “The Palestinian Arab Revolt of 1936-1939.” The Muslim World 63, no. 3 (1973): 220-233. Kabha, Mustafa. “A Palestinian Look at the New Historians and Post-Zionism in Israel.” In Making Israel, edited by Benny Morris, 299-318. Michigan: University of Michigan Press, 2008. Kadish, Alon, and Avraham Sela. “Myths and Historiography of the 1948 Palestine War Revisited: The Case of Lydda.” Middle East Journal 59, no. 4 (2005): 617-634. Kimmerling, Baruch. “Academic History Caught in the Cross-Fire: The Case of Israeli-Jewish Historiography.” History and Memory 7, no.1 (1995): 41-65. Khalidi, Tarif. “Palestinian Historiography: 1900-1948.” Journal of Palestine Studies 10, no. 3 (1981): 59-76. Khalidi, Walid. “Selected Documents on the 1948 Palestine War.” Journal of Palestine Studies 27, no. 3 (1998): 60-105. Koldas, Umut. “The Nakba in Palestinian Memory in Israel.” Middle Eastern Studies 47, no. 6 (2011): 947-959. Litvak, Meir. “A Palestinian Past: National Construction and Reconstruction.” History and Memory 6, no.2 (1994): 24-56. Maissy-Noy, Rachel. “Palestinian Historiography in Relation to the Territory of Palestine.” Middle Eastern Studies 42, no. 6 (2006): 889-905. Masalha, Nur. Expulsion of the Palestinians: The Concept of “Transfer” in Zionist Political Thought 1882-1948. Washington DC: Institute of Palestine Studies, 1992. Masalha, Nur. The Palestine Nakba: Decolonizing History and Reclaiming Memory. London: Zed Books, 2012. Mazza, Roberto. “Missing Voices in Rediscovering Late Ottoman and Early British Jerusalem.” Jerusalem Quarterly 53 (2013): 61-71. Mulhall, John. America and the Founding of Israel: An Investigation of the Morality of America’s role. Los Angeles: Deshon Press, 1995. Neal, Lorena. “The Roots of the Israeli-Palestinian Conflict: 1882-1914.” Honors Projects. Paper 27 (1995): 1-26. Nofal, Mamdouh, Fawaz Turki, Haidar Abdel Shafi, Inea Bushnaq, Yezid Sayigh, Shafiq al-Hout, Salma Khadra Jayyusi and Musa Budeiri. “Reflections on Al-Nakba.” Journal of Palestine Studies 28, no. 1 (1998): 5-35. Pappe, Ilan. “Critique and Agenda: The Post-Zionist Scholars in Israel.” History and Memory 7, no.1 (1995): 66-90. Pappe, Ilan. The Idea of Israel: A History of Power and Knowledge. London and New York: Verso, 2014. Pappe, Ilan. “The Vicissitudes of the 1948 Historiography of Israel.” Journal of Palestine Studies 39, no. 1 (2009): 6-23. Philo, Greg and Mike Berry. Israel and Palestine: Competing Histories. Illinois: University of Chicago Press, 2006. Philipp, Thomas. “Bilad al-Sham in the Modern Period: Integration into the Ottoman Empire and New Relations with Europe.” Arabica 51, no.4 (2004):401-418. Price, Richard. “Historiography, Narrative, and the Nineteenth Century.” Journal of British Studies 35, no. 2 (1996): 222-256. Reilly, James. “The Peasantry of Late Ottoman Palestine.” Journal of Palestine Studies 10, no.4 (1981): 82-97. Reinowski, Maurus. “Late Ottoman Rule over Palestine: Its Evaluation in Arab, Turkish and Israeli Histories, 1970-90.” Middle Eastern Studies 35, no.1 (1999): 66-97. Robert, John and Sami Hadawi. The Palestine Diary: 1914-1945. New York: The Palestine Diary, 1970. Saʻdi, Ahmad. “Remembering al-Nakba in a Time of Amnesia: On Silence, Dislocation and Time.” Interventions: International Journal of Postcolonial Studies 10, no.3 (2008): 381-399. Sand, Shlomo. How I Stopped Being a Jew. London: Verso, 2014. Sand, Shlomo. On the Nation and the “Jewish People”. London: Verso, 2010. Sand, Shlomo. The Invention of the Land of Israel. London: Verso, 2012. Sand, Shlomo. The Words and the Land: Israeli Intellectuals and the Nationalist Myth. Los Angeles: Semiotext, 2011. Sayigh, Rosemary. “On the Exclusion of the Palestinian Nakba from the “Trauma Genre.” Journal of Palestine Studies 43, no. 1 (2013): 51-60. Shahak, Israel. Jewish Fundamentalism in Israel. London: Pluto Press, 2004. Sherman, A. J. 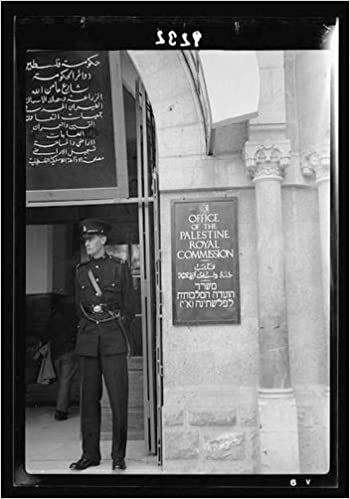 Mandate Days: British Lives in Palestine, 1918-1948. London: Thames and Hudson, 1997. Shlaim, Avi. “The Debate about 1948.” International Journal of Middle Eastern Studies 27, no. 3 (1995): 287-304. Smith, Charles. 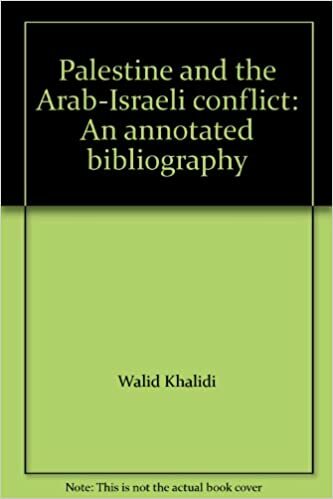 Palestine and the Arab-Israeli Conflict: A History with Documents. Boston: Bedford/St. Martin’s, 2012. Stav, Shira. “Nakba and Holocaust: Mechanisms of comparison and denial in the Israeli Literary Imagination.” Jewish Social Studies 18, no. 3 (2012): 85-98. Toubbeh, Jamil. Day of the Long Night: A Palestinian Refugee Remembers the Nakba. McFarland: University of Michigan, 1998. The titles listed on this page do not represent a comprehensive list of resources available through AUB Libraries. Use the Catalog to find more Books, Journals, Maps, Photos , Posters, Primary Documents, Videos and other materials available at the University Libraries. To limit your search by 'Media Type' use Advanced Search. For Search Tips, click here. Al-Nakba (meaning “disaster” or “catastrophe” in Arabic) refers to the flight and expulsion of the Palestinians before, during, and after the ARAB ISRAELI WAR OF 1948; the confiscation of their property; the massacres committed by Zionist forces, after May 14, 1948; the collapse of Palestinian ... more on page 328 of the Encyclopedia of the Palestinians. the book analyzes the people of Palestine, through the years of British colonization; he examines the Jewish community and Zionism, the legacy of Jewish terror against both British and Palestinian targets. The book provides a detailed overview of the end of the Palestine mandate. Role of British, United States and Soviet governments in the emergence of Israel. 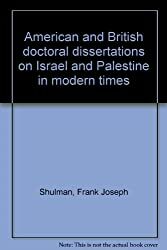 A collection of difficult-to-obtain or out-of-print material on ‎Zionism and the history of Palestine from ancient times until 1948. The book considers the ways in which Palestinians have remembered and organized themselves around the Nakba. "Righteous Victims, is a comprehensive and objective history of the long battle between Arabs and Jews for possession of a land they both call home." 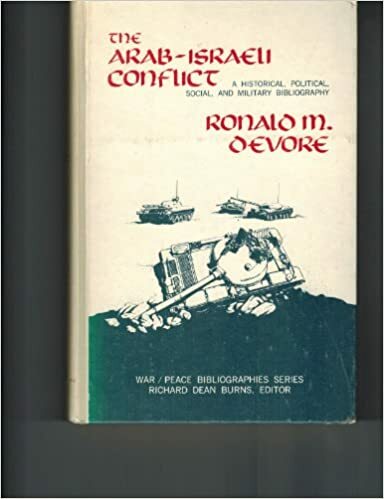 Essays on the origin and development of the Arab-Israeli conflict. Understanding the Nakba: an insight into the plight of Palestinians by Ahmed, Nasim. The book put together fragments of the Nakba and provides an analysis of the ongoing dispossession and exile of Palestinians. Translated from German "Arbeit und Sitte in Palästina", this eight volumes provides an encyclopedic view of pre-industrial traditional life of the Palestinian people at the turn of the 20th century. Articles are best resources for research because they are current, written by experts in the field, peer reviewed, and cover very specific subjects. It provides full text of book chapters and journal articles, covering Ancient Near East, Humanities, Middle East and Islamic Studies. Indexes journal literature, book materials, and other resources covering Islam, the Middle East, and the Muslim world. Searchable with 10 key indexes covering author, database, free text, keyword, publication date, source, subject, title, title keyword and record type. Provides complete archives of core scholarly journals which have been digitized, starting from the very first issues. Date coverage of JSTOR is based on a "moving wall" of three to five years between the date of the last issue available in JSTOR and the most recently published issue of the journal. A bibliographic index of materials (journal articles, dissertations, books, etc…) relating to the Middle East, Central Asia and North Africa. It contains more than 400,000 records updated annually, from reputable centers such as SOAS (School of Oriental and African Studies). Subject Coverage: Political and economic affairs, cultural heritage, art and humanities, sociology, anthropology, religion, and archaeology. Arabic database providing access to thousands of electronic publications from the Arab world's leading universities and research centers. Subject areas covered are political science & international relations, business & economics, social sciences, law, language & literature, history, geography & biography, Islamic jurisprudence, Islam & other disciplines, specialized Islamic sciences, educational sciences, and heritage. The database allows full text search and access of peer reviewed and copyright protected Arabic books and journals. Arabic language full text database providing access to academic journals and statistical reports from the Arab world. The information is published by universities, research centers, public statistical departments, central banks, scientific associations and regional organizations.Content includes articles, theses, dissertations, reports, data and statistics. Subjects covered comprise: human sciences, social sciences, medical sciences, economics and business administration, engineering and information technology, natural and life sciences. Newspapers are good sources for up-to-date and historical information. Use Journal Finder to locate individual journals. The following is a list of selected journals, magazines and newspapers. Journal of Palestine Studies: a quarterly on Palestinian affairs and the Arab-Israeli conflict. For additional primary resources on the topic, search the Library Catalog. Arab-Israeli conflict -- 1948-1967 -- Sources. Palestine -- History -- 1917-1948 -- Sources. Atlas of Palestine, 1948: combines survey of Palestine maps and old aerial photography, plus information on about 1,300 towns and villages, 11,000 land marks and 20,000 place names. Atlas of Palestine, 1917-1966: an enlarged, extended and edited edition of the 'Atlas of Palestine 1948'. Is a cartographic representation of palestine's modern history. A valuable source on 1,600 towns and villages, 16,000 landmarks, 30,000 place names, and much more. Palestine: Colored map published in 1942 by the War Office, Geographical Section. Palestine 1948: 50 years after al Nakba: the towns and villages depopulated by the Zionist invasion of 1948. Includes information about dispossessed Palestinians and legend of depopulated towns and villages. Map of Palestine: prepared and drawn for the 1946 Palestine yearbook. It includes 3 ancillary maps: Profile of Palestine and its surrounding countries -- Jewish national fund land in Palestine -- Southern portion of Palestine. Survey of Palestine motor map: Insets: Haifa -- Jerusalem -- Jaffa and Tel Aviv. Speaking in Arabic and English, Soliman Al-Halawani, Dr. Mahmoud Hourani, Fouad Charida, Dib El Chami and Rafica El Chami Batach tell of their life in Palestine before 1948 and give eye-witness accounts of the tumultuous days of 'Al Nakba' (the catastrophe), May 15th, and its aftermath. Interviews with first-generation Palestinian refugees living in Lebanon about their recollections of the events of 1948. In 2002 Khleifi and Sivan embark on a journey. They film along the partition line drawn up by UN resolution 181 that was to separate the Jews and Arabs of Palestine. معرض صور برعاية النادي الثقافي الفلسطيني في الجامعة الامركية في بيروت. محاضرة تحدث فيها عزمي بشارة عن ان احد تهميش ذكرى النكبة هو التركيز على تحرير الاراضي التي احتلت في سنة 1967 والانصراف عن فكرة تحرير الاراضي التي احتلت في السنة 1948 . Before their Diaspora: a photographic history of the Palestinians, 1876-1948. The book illustrates a visual journey into life in Palestine before its partition in 1948. It includes a collection of 500 photographs carefully selected from thousands available from private and public collections throughout the world. View book as Digital Edition. Browse by content type such as chronologies, primary documents, and photos. Over 200 photos reconstructing the processes by which the Palestinian majority in Mandatory Palestine became a minority in Israel, while the Jewish minority established a new political entity in which it became a majority ruling a minority Palestinian population. 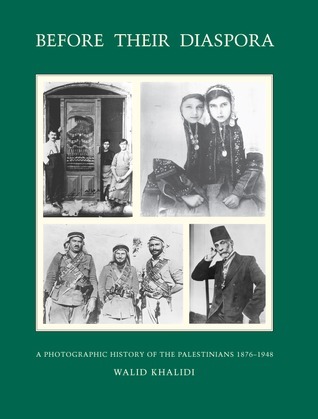 The book examines images of Palestine taken over the course of nearly 200 years, showing the various phases of its pictorial history.